The scale model of downtown Healdsburg circa 1933 is impressively detailed. As the impacts of high-end tourism stir increasing debate in Healdsburg, a new exhibit at the local museum traces the history of that industry in the north county area. 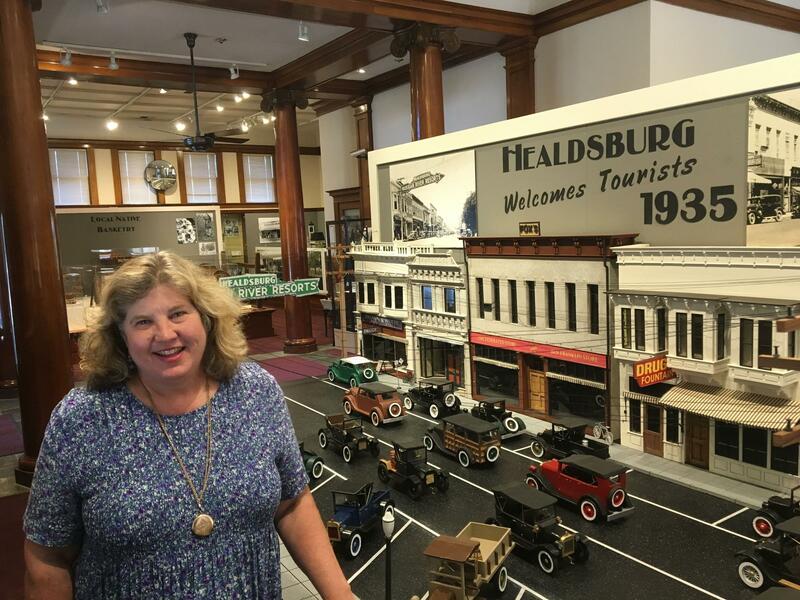 Healdsburg Museum curator Holly Hoods shows off the downtown model that highlights the Destination Healdsburg exhibit. 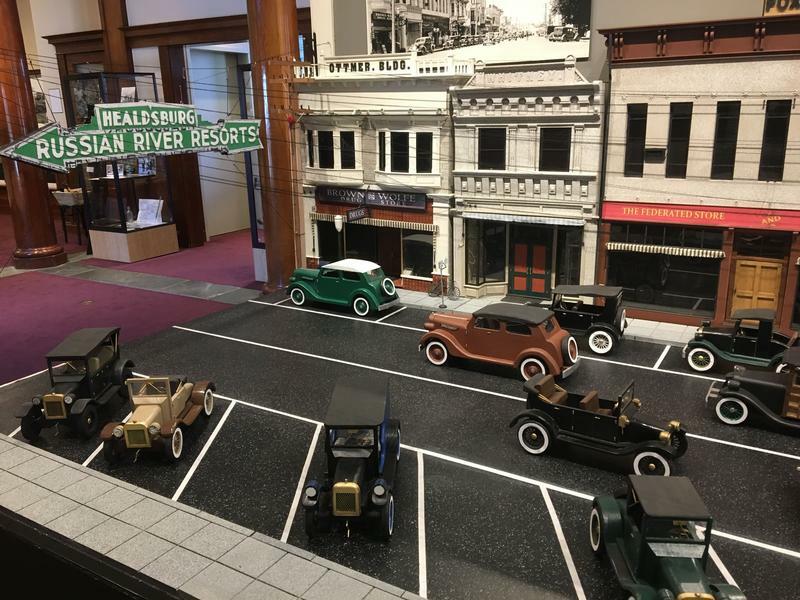 The large display that greets visitors to the “Destination Healdsburg" exhibit is a detailed recreation of a block of the storefronts that faced the downtown plaza roughly 80 years ago. Curator Holly Hoods says it’s the work of a uniquely skilled volunteer. The surge in Healdsburg’s tourism economy over the past 15-plus years has gradually led to some changes in the local population as well. But even so, Healdsburg Tribune editor Ray Holley observes, certain attitudes tend to persist. 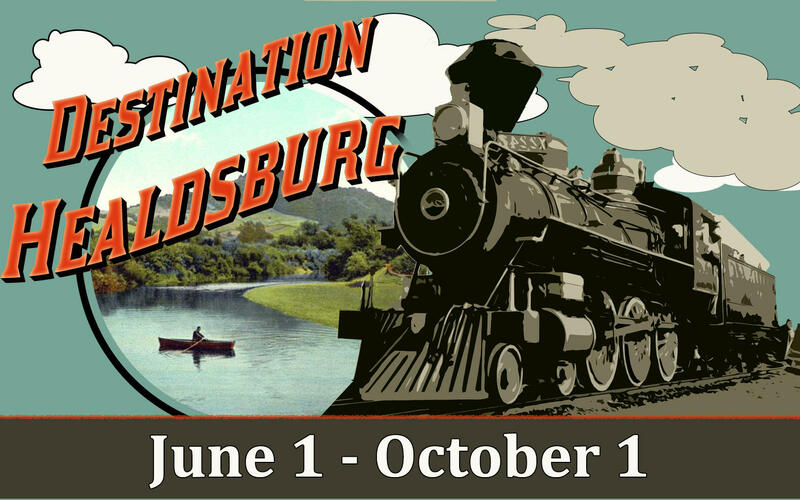 The “Destination Healdsburg” exhibit will remain up through October 1.